is key to your brand's success. how we drive success to our clients to see if we're the right partner for you. We've been selected as 1 of only 25 Google PSP Partners in the world! We've been selected as 1 of only 13 Bing Advertising Partners in the world! 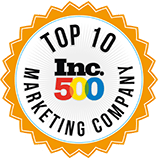 We have been ranked a national "Top 10 Marketing Company" on the Inc. 500 list 2 years in a row! In 2014, we were awarded a Bronze Stevie Award, given to companies that exhibit sustained growth and give back to their community. 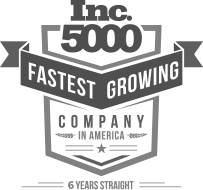 Growing by over 5000% in 4 years earned us a spot on the national Inc. 500 Fastest Growing Companies list 2 years in a row. 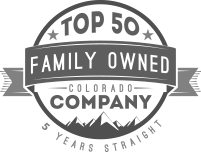 We have been honored as a Colorado Top 50 Family Owned Company 3 years in a row! 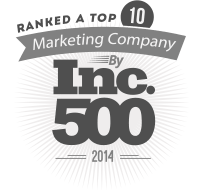 Growing from 2 people to over 150 in under 5 years earned us a spot on the 2013 Inc. Hire Power Awards. We were awarded the 2014 Top Colorado Company Award, given to companies who have sustained steady growth and contribute greatly to the Colorado economy. 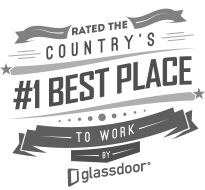 We have topped the Mercury 100 Fastest Growing Companies list 3 years in a row for Northern Colorado. 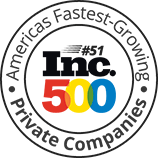 We have been recognized 3 years in a row as a Colorado Top 250 Privately Owned Company. services through a powerful platform to deliver a true 360° marketing and design solution. More money will be spent by consumers online in 2015 than any year before. Ecommerce is established and growing. How much profitability will you enjoy? Ecommerce stores are gearing-up like never before in 2015, and with good reason. For both exclusive online online retailers and brands with physical stores that also sell online, the time of true selling enormity is here. There are few barrier left for ecommerce – the system is with us. Online shopping is as secure as any shopping where you use a credit card. Shipping is fast and often free to consumers. Return policies are solid. The digital buying experience is trusted. Information funnels buyers in to ecommerce stores in ways advertising for physical stores never could. Brands are discussed on social media. Online reviews offer credible info from consumers and social proof for advertisers. Ecommerce website templates allow small brands to look like enterprises. Images and product videos are more professional and less expensive than ever. All online collateral is mobile responsive, opening the shopping experience to mobile devices. When we at eCommerce Marketing 360® review the last half decade, we see remarkable improvements for small brand ecommerce. Websites designs that used to take months can now be done in weeks. Data tracking is easier and more informative than ever. There is a clear path that will take your from good to great. Marketing and advertising are leaner. We know more about what stimulates buying, and we’re better and focusing on it from the beginning. Tools and means to spread the message are there. We’re just waiting for you. The entrepreneur with the next big idea. If you’ve got it, the money is just waiting to be made. Advertising Review: Tell People Not to Buy?